From the Overview tab of your Admin Dashboard click the box that says "Dollars Raised" to begin setting up your donations. 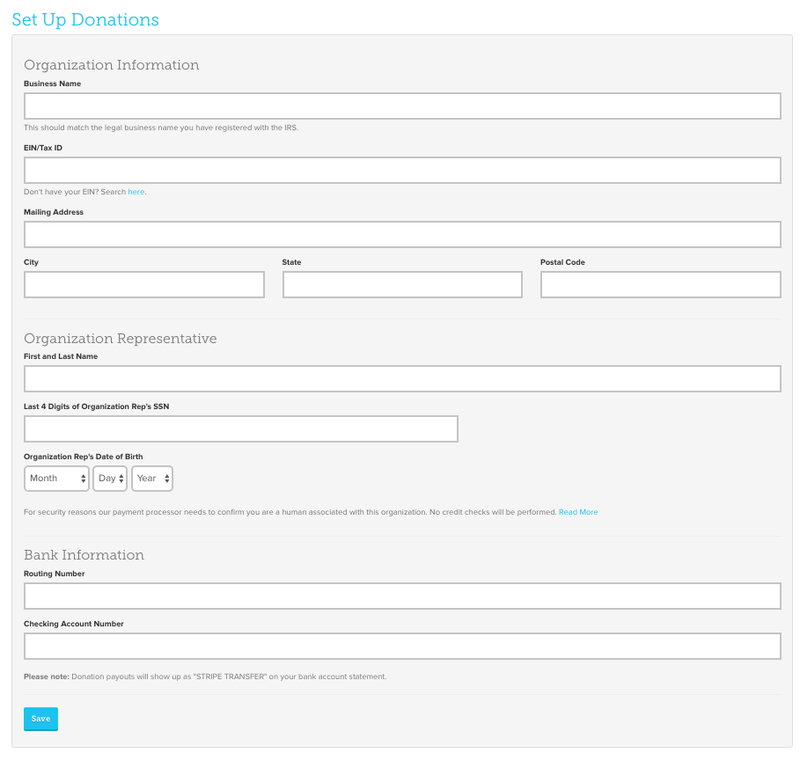 To enable donations for your organization on GiveGab, fill out this form with your organization information, organization representative information, and bank account information. Once this information has been entered and is correct, click "Save" to begin the verification process. Note: It may take up to 2-3 business days after you submit this information for your organization to be completely verified to accept donations on GiveGab. To learn more about your organization's verification status, check out this article here. Once you see the "Verified" prompt highlighted below, your organization is all set to receive donations on GiveGab! If you do not receive this confirmation after 2-3 business days please reach out to a member of the GiveGab Customer Success team at customersuccess@givegab.com.